Sorry, you can only order up to 13 units of this product! Bring atmosphere into your house, garden or living area - on the patio, in the dining room or by the pool - with this Bio-Ethanol fireplace. This table fireplace comes with tempered glass, a fire killer and a stainless steel burner. 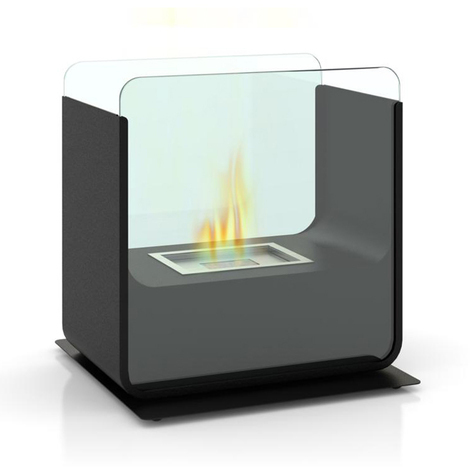 Bio-Ethanol burners can be used both indoors and outdoors and are clean burning with minimal soot, smoke and smell. Designed to be a decorative feature but can emit some heat providing warmth when required. The burner is protected by two lovely glass walls providing an attractive safety feature.